CARSON CITY, Nev. (AP) — Another lengthy, emotional debate on Nevada’s minimum wage is one of several legislative hearings anticipated to rise above humdrum budget reviews this week. Nevada’s minimum wage effectively matches the federal minimum. An hours-long hearing on the subject last week drew watchful eyes from across the state. Lawmakers will hear two bills that would change Nevada’s rhetoric on civil rights more than affect immediate policy change. Nevada legislators are among officials in several states pushing for reconsideration of the Equal Rights Amendment — a resolution that would plainly state in the U.S. Constitution that men and women are equal under the law. 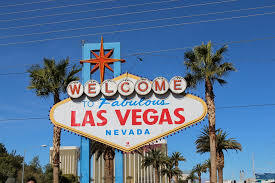 Nevada was one of 15 states that did not ratify the amendment by a 1982 deadline, dooming the initial proposal. As recently as 2015, the Nevada Legislature again failed to approve the text of the proposal. Four Democratic members of Congress introduced legislation this year that would restart the clock on the Equal Rights Amendment. In Nevada, Senate Joint Resolution 2 will get its first hearing on Monday. Assembly Joint Resolution 2 would delete that provision and insert a brief statement that Nevada will recognize all marriages equally, regardless of gender. It will be heard on Tuesday. A Democratic bill would train social workers in helping LGBTQ adolescents and require them to regard transgender minors as their identifying — not biological — gender. Assembly Bill 99 would primarily affect how state employees treat children in the foster care system. Assemblyman Nelson Araujo, D-Las Vegas, said being able to better understand minors who are lesbian, gay, bisexual, transgender or questioning their sexuality could increase their success at state facilities and the likelihood they’ll get placed in a welcoming home. “We have an obligation to ensure that they are protected, that they feel safe,” Araujo said. “To ensure that that every child lives a very comfortable and healthy and open life while they are under the jurisdiction of us” in government. At a Monday hearing on his bill, Araujo said, he plans to remove a provision that currently would apply the same policy to juvenile detention and treatment centers. He also said he won’t seek to expand the policies to public schools. Puberty can be a drag — especially in the morning, according to the American Academy of Pediatrics. Saying biological changes require teenagers to get more sleep in the mornings, the academy recommended in 2014 that middle and high schools start classes no earlier than 8:30 a.m. Legislation to require some Nevada public schools to begin classes later failed in the 2015 session. The discussion will begin again on Monday when the Assembly Committee on Education hears competing Republican and Democratic proposals to mandate public high schools commence after 9 a.m.